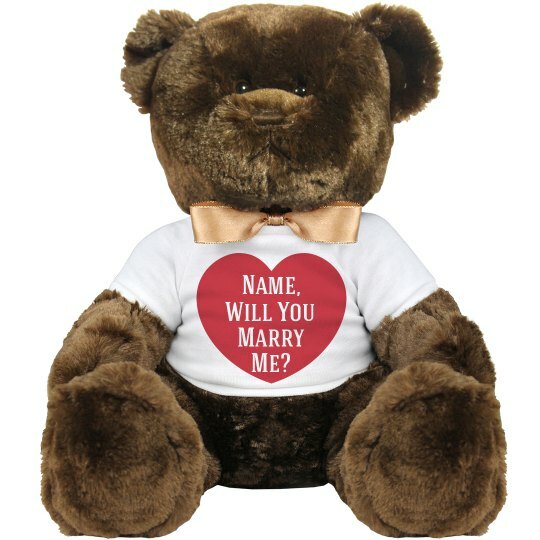 What a great way to propose with this cute cuddly bear! Customize it any wear you want with your own names, dtaes and images! Custom Text: Name, | Will You | Marry | Me?